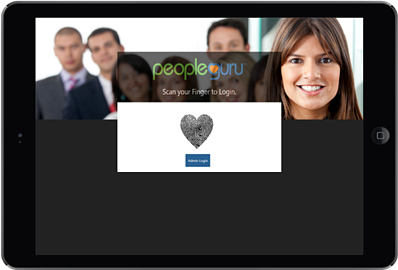 Accurately manage labor records, control labor costs, and improve people productivity with PeopleGuru Time. PeopleGuru Time is highly configurable and designed to handle basic or extensive, complex timekeeping. Time can be captured via web clocks, native mobile apps, biometrics, or badge readers. Eliminate timesheets for another “no-cost” method for employees to record time using the Web Clock. The Web Clock can be accessed via work station, kiosk, or from a remote location. 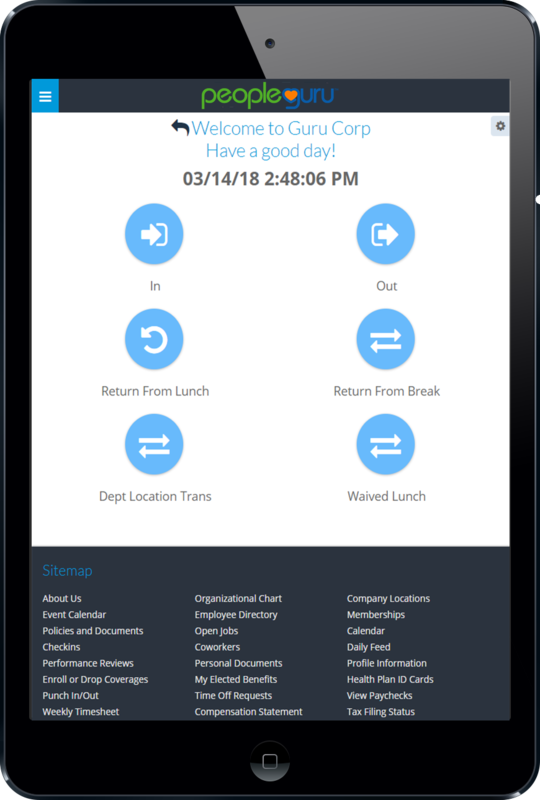 Using the Web Clock saves your organization time and the hassle of manually calculating employee time cards. PeopleGuru has several biometric solutions including RSI Hand Reader from Ingersol Rand and fingerprint readers. Biometrics uses the unique human characteristics of each employee such as fingerprints, hand shapes, and more. This advanced technology eliminates time cards, badges, and buddy punching. Read your current badges for data collection with the Accu-Time or Acroprint family of online and offline readers. Badge readers offer a convenient, cost-effective, and easy-to-use solution to accurately calculate employee time and attendance and reduce the high costs associated with payroll errors. Highly configurable function keys, touch ID, EIN, pin number, and live employee photographs. Your people can manage all of their specific time data via wireless or wired internet connection. Enhance the experience with an optional biometric finger scanner.